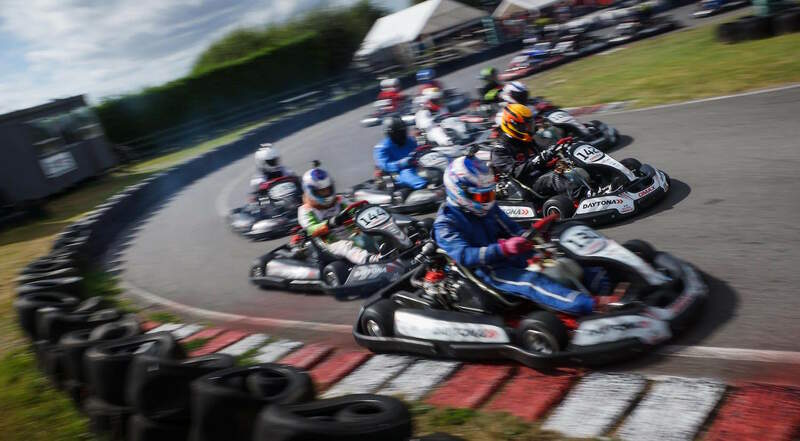 Daytona's DMAX Championship is the ultimate challenge for any aspiring racing driver, offering the highest level of performance in an Arrive&Drive format anywhere in the UK. 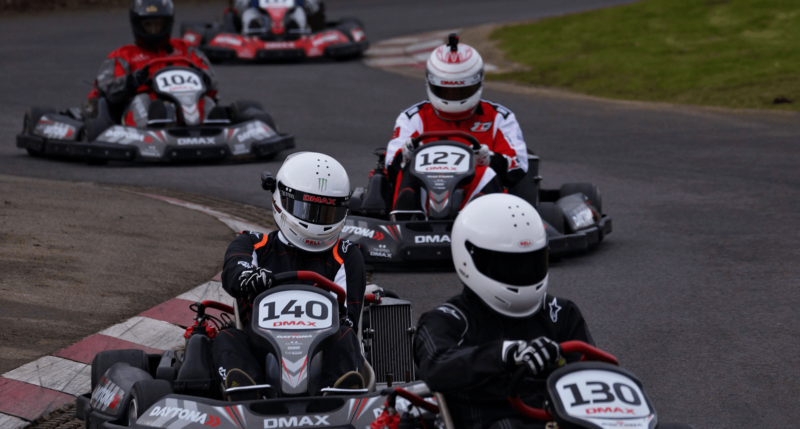 The Daytona DMAX Heats Championship gives drivers the chance to race in a ten round annual championship series, with practice three heats and a Final for all drivers at each round. The championships are split into three weight classes to allow drivers to race against other drivers of similar weight. All racing is in Daytona’s championship fleet of 50 Daytona DMAX karts. At driver registration and sign on, drivers are weighed in their racewear to ensure that they are within their weight class limits. Drivers who require ballast to achieve the class minimum will be advised of the requirement. Following the driver briefing, each class gets five minutes open practice on track to familiarise themselves with the circuit and with the karts. Once practice is completed, drivers compete in three qualifying heats comprising seven minutes plus one lap. The starting grids for the heats are carefully calculated to give each driver an even chance of scoring points. Points are awarded in each heat for finishing positions – with each drivers total heats points added up to calculate the Final Grid Positions. The Grand Finals are run over eleven minutes plus one lap and trophies are awarded to the top three drivers in each class. All points scored during a round are added to a driver’s championship score – with each drivers best 8 scores from the 10 rounds going towards their championship position. There are three weight classes in the DMAX Heats Championships: Lightweight, Intermediate and Heavyweight, meaning drivers race on equal terms. The Lightweight Class has a minimum weight of 70kg (kitted up). The Intermediate Class has a minimum weight of 85kg (kitted up). The Heavyweight Class has a minimum weight of 97.5kg (kitted up). Drivers may carry as much ballast as required to meet the minimum weight for Lightweight entry, whilst Intermediate and Heavyweight drivers may only carry a maximum of 7.5kgs of ballast (to avoid drivers weighting up to the heaviest class). Race results and updated Championship tables are posted on the DMAX website the day after each race meeting along with race reports detailing the action. 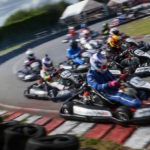 The DMAX Championships offer the maximum racing for drivers within a race day and thus the day is run on a very tight schedule; drivers that miss the Mandatory Safety Briefing due to lateness will not be allowed to participate in that event. If you would like to book for the DMAX Championships 2018, please contact Mark Wimblett on 03303327870.